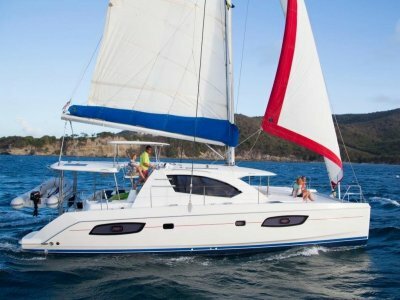 The popular four-cabin Leopard 44 is perfect for family or couples traveling and cruising together. 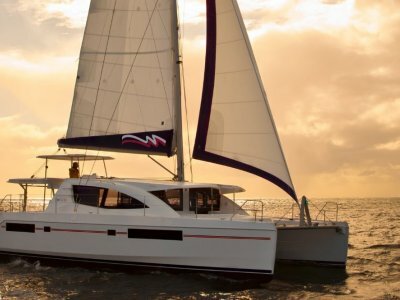 This revolutionary catamaran uniquely balances comfort, space and a sailing performance unrivalled by other catamarans. In addition to her vast covered aft cockpit, the most noticeable feature of . . .
Start your cruise in the amazing Seychelles Islands, or we can arrange for a delivery crew to sail the boat back to your home port. 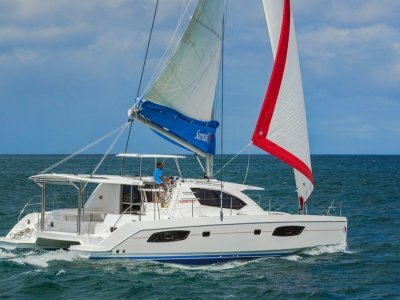 The Leopard 44 is widely and highly regarded mid-sized cruising catamaran with a performance pedigree. "Obsession" is a very recent Leopard 44, and the first . . . The Leopard 46 is the accumulation of 30 years charter experience by the Moorings and 1000 catamarans built by Robertson and Caine. 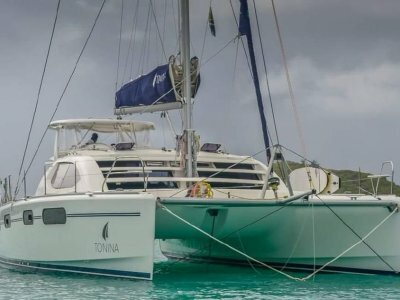 No other mid forty foot catamaran matches the interior space, walk around beds, and generous ensuites for each cabin, with excellent sailing performance and ease of . . . Ever dreamed of cruising the Med, but were not sure how to acheive that dream? Well, here's an opportunity which should be considered. 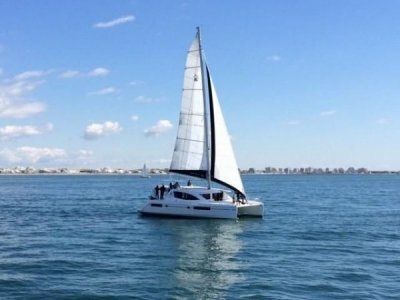 Purchase this great cruising platform and spend a couple of seasons exploring all the fabulous locations around the Mediterrean Sea, and then, you have the . . .
"Heatseeker" a Leopard 48 is the award winning Leopard 48 built by Robertson and Caine in Cape Town, South Africa. Focused on blue water performance and comfortable living, the Leopard 48 is an exciting addition to the Leopard line. The Leopard 48 features a large forward cockpit seating . . .